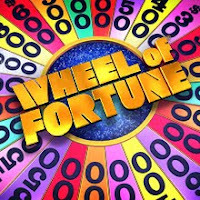 One of my friends has made it through all of the cuts and is going to be on WHEEL OF FORTUNE. How awesome is that!! She has to wait a couple of weeks to get the official letter, but has made it through all the rounds... Can't wait to see it! Sure looks like WE HAD IT ALL ALONG!! I posted this a couple weeks ago, but the contest ends today, so if you haven't registered yet DO IT NOW!! Wow! Metromint doesn't just taste fresh, it feels fresh. Take one sip and experience the unique cooling sensation you can only get with the real mint in Metromint. The minty coolness of Metromint is the perfect complement to the retro coolness of a Vespa. So this summer, Metromint is giving away one Vespa LX 150 to a lucky winner and one free case of Metromint to 50 second place winners. Enter for your chance to win and feel the fresh air in your face and the minty coolness on your breath. So Kmart has come up with a novel way to hang on to those customers until they're back at work and spending freely by giving them discounts now. The chain has introduced a Smart Assist program that will give the unemployed nationwide a 20 percent discount off 1,500 food and household staples from Kmart's various store brands. 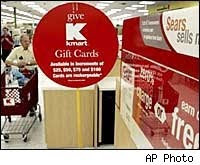 The program was tested this summer in Michigan -- the first state to top 15 percent unemployment in 25 years -- and Kmart got praise there from the governor and the mayor of Detroit. There are a few catches: The discount cards, which will be issued through January 2010, are only good for six months -- less time than many Detroit auto workers have been out of work. And while shoppers can apply privately on-line, they still have to present their unemployment documentation at checkout to use their discount card. After a back-to-school season when parents had to put pencils and notebooks on layaway to make ends meet, the fear that a "jobless recovery" will gum up the works is very real. It's coloring even the rosier holiday sales forecasts. More of the article here. Do you think it will help?! After such a strong start at home, Michigan might be a little hesitant about heading to Spartan Stadium. A healthy Tate Forcier, though, should ease some of its concerns. With their impressive freshman quarterback expected to play, the 22nd-ranked Wolverines look to avoid a letdown against Michigan State on Saturday in their first road contest of the season. Having played all of its games in the Big House, Michigan (4-0, 1-0 Big Ten) has been able to build some early season confidence. A conference matchup with the Spartans (1-3, 0-1) shouldn't be intimidating, but Wolverines coach Rich Rodriguez isn't sure how his team will react on the road. "Can we play all 12 at home?" Rodriguez said. "You'll find out a lot about your team in a tough road environment, and we're getting ready to do that." Ryan and I will be at Rookies watching the game. Kick off at 9am PST. Come join us!! Jesse seems to think we could win the Big Ten - THAT WOULD BE AMAZING! The Detroit Tigers were down after absorbing a difficult loss in the opener of their critical day-night doubleheader against the Minnesota Twins. "After the first game, this win was huge," Verlander acknowledged. 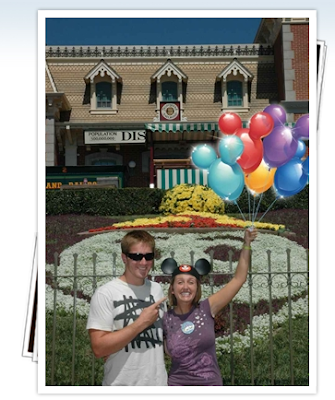 Disney will give a free day of admission in 2010 to 1 million people who complete a day of volunteer service. As with its free birthday promotion, which is in effect this year, people must register with the parks' Web site before embarking on their day of service, which must be handled and certified by the widely operating HandsOn Network. HandsOn, which has 70,000 affiliates nationwide, hooks average people up with non-skilled positions at food banks, senior centers, Habitat for Humanity builds, and other one-day projects. After completion, it's a free ticket for you. And hopefully, you'll want to keep volunteering even when there isn't a carrot being dangled in front of you. You can be one of the million who claim the freebie. The offer is for those aged 18 and older, but since you can't leave the kids home when you go to Disneyland, kids aged 6 to 17 can also get a free ticket for pitching in, too, as long as an adult is with them when they're volunteering. As long as you live in the United States, Canada, or Puerto Rico, you can take advantage of the offer. It's another smart move for the Mouse. Although 3.5 million people registered to visit Disney for free on their birthday this year, only about 30% of them actually claimed their tickets, giving the theme park giant a huge wave of publicity and not much of a financial downside. Even those people who attended usually brought with them family or friends who spent plenty of money in the parks. The same will be true of the volunteers. It's sad but true.... I think Fluffy hates his house... Okay, he might not hate it, but he definitely doesn't like it. He has never been in it. How sad! Maybe the hole isn't bit enough. Maybe he can't read and can't see that the house is for him. Maybe he doesn't like the color I painted it. Maybe he is hibernating. FLUFFY, OH FLUFFY, WHERE ARE YOU?! GO IN YOUR HOME! ARE YOU TOO GOOD FOR YOUR HOME?! Vodden's connection to the Beatles dates back to her early days, when she made friends with schoolmate Julian Lennon, John Lennon's son. 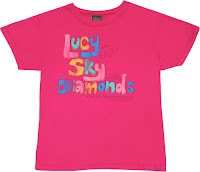 Julian Lennon, then 4 years old, came home from school with a drawing one day, showed it to his father, and said it was "Lucy in the sky with diamonds." DETROIT – Some were half-dressed, others barefoot. None of them cared. Coach Jim Schwartz addressed the Detroit Lions victorious (at last) locker room and in an unusual move told the team to get back on the field, find whatever fans were left and thank them for sticking with the team through the thinnest of thin times. “We’re going to go back out the tunnel and celebrate a little with the people of the stadium,” he said. So out they charged, 53 players strong, sprinting down the concrete ramp back to the Ford Field playing surface and into the waiting cheers and outstretched hands of the NFL’s most die-hard fans. They offered hugs and jumped up on the wall and mostly shared this long-coming day of delirium. The players cheered the fans. The fans returned the favor. Detroit 19, Washington 14. The game won, the streak done, the party just begun. Since Dec. 23, 2007, the Lions had lost every game they played, 19 in all. Many were by lopsided margins, an exercise in futility and frustration that included the first 0-16 season in NFL history. Did any one else catch the season premier of Extreme Makeover Home Edition last night? 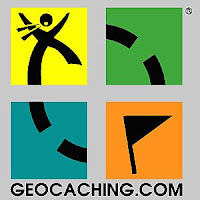 The family likes Geo Caching - how awesome. And Ty set up a cache with a NEW CAR at it... I have to say the best cache I have found thus far was my engagement ring :) And then probably behind that was a dollar. Maybe one day Ryan and I will find a car, but I won't hold my breath. Oh yeah, and I think I might want to raise chickens. ANN ARBOR, Mich. -- Tate Forcier's 26-yard pass to Martavious Odoms with 2:29 left lifted No. 23 Michigan to a 36-33 win over Indiana on Saturday. 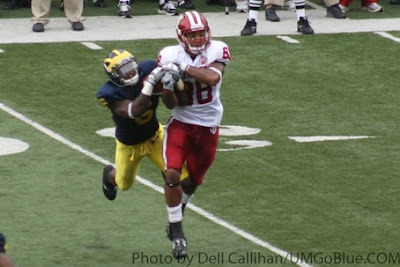 Donovan Warren's interception on Indiana's next snap sealed the tougher-than-expected victory for the Wolverines (4-0, 1-0 Big Ten), who were outgained by the Hoosiers (3-1, 0-1) despite being favored to win by about three touchdowns. Forcier, whose TD pass in the closing seconds two weeks ago beat then-No. 18 Notre Dame, missed some plays on the game-winning drive after taking a hit and tapping his helmet as he looked to the sideline. The freshman quarterback returned to convert a third down on a long pass to Odoms in the end zone. More of the recap here. Ryan has been talking about making a surfboard shaping stand for a while now. 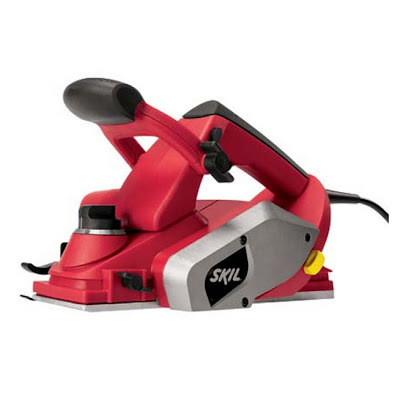 He got a giftcard for Lowe's for his birthday and decided that he wanted to get a planer (to use to shape the boards) and then use the rest of the card to pick up the materials to make the shaping stand. He found the instructions on this website here. I have been helping where he has let me :) and trying to document his progress throughout the process. He is quite excited about it all and is even more excited to shape a surfboard on his beautiful stand. The album of the photos are here. 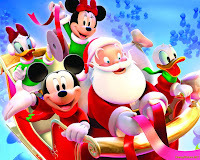 Today marks the 3 MONTH countdown till Christmas :). I wrapped most of the Christmas gifts I have this afternoon. I've already been listening to Christmas music on iTunes at work for the last couple weeks (check out Radio -> Holiday -> Big R Radio (Christmas Classics)). I guess the weather outside (today it was in the 90s) isn't too winter-y, but I hear it is supposed to start cooling down next week. When will you start your Christmas shopping?! WHOOO HOOO!!! After weeks and weeks (maybe even months and months) of trying to book flights for Thanksgiving, I finally got them booked today! Ryan and I will be flying into Destin for Thanksgiving to spend with my family - YAY!! It is going to be our Christmas gifts - a trip to somewhere warm - can't wait! It took a while to get everything booked and I had to have two computers out next to each other to make sure everything went smoothly (I had to book one of our tickets through Delta and one through Northwest - which complicates things 10-fold). Right now everything seems to be set up great - but who knows if they switch things on us (seeing as we booked through two different companies and two different names). Led by a rejuvenated running game, Michigan has been putting the disappointment of last year behind it. The unbeaten Wolverines have a good chance to continue their promising start this week as they face an opponent they have not lost to at Ann Arbor in 42 years. The 23rd-ranked Wolverines try to extend their home and overall winning streaks against Indiana to 16 as the teams open their Big Ten seasons Saturday. Michigan improved to 3-0 -- matching last year's win total -- with a 45-17 victory over Eastern Michigan last Saturday. Carlos Brown rushed for a career-high 187 yards and two touchdowns on just 13 carries, while Denard Robinson added two rushing TDs. The Wolverines finished with 380 yards on the ground -- their best total since rolling up 392 against Houston in 2003. 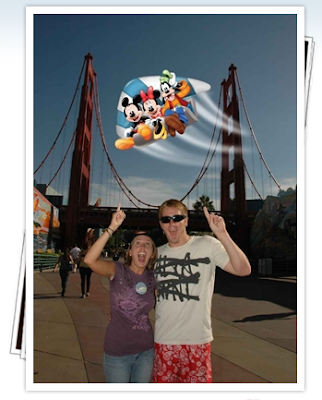 So when you go to Disney they give you this thing called a Disney Photo Pass. 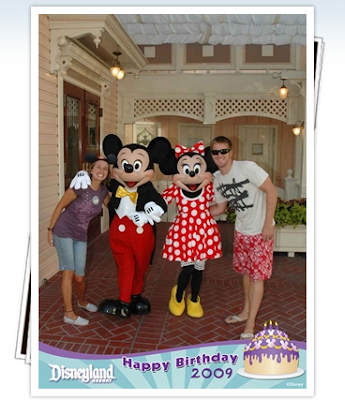 It is a little credit card that the photographers can scan when you are around the parks and put pictures that they take of you on the card. Technically you are supposed to purchase the photos or a CD or some other type of item with the pictures on it. I decided to 'cheat' and take a snap shot of the pictures on my desktop and then save them on the computer :). I posted them to the Birthdays 2009 Album - check them out. These are a few of the 'magic' photos that they took... 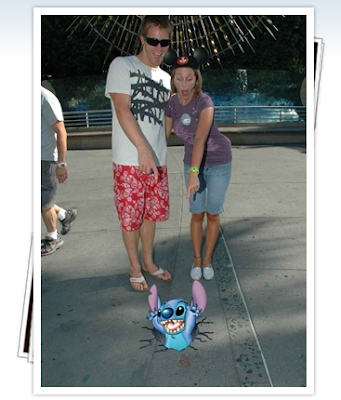 They would say "Point down and act scared" and then would photo-shop characters into the pictures with us :) I LOVE IT! Tomorrow starts the season for Halloween at Disney - whoo hoo!! September 25th through November 1st. I love the themes that they do!! I asked Ryan if we would be able to go up to see it sometime soon (maybe on a Sunday or maybe I will just take a day off work and go during the week :) ). I think my favorite is the Haunted Mansion during Halloween - cause they deck it out with Jack from Nightmare before Christmas. 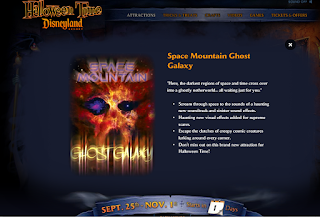 This year they are even doing something with Space Mountain (it was closed for 'holiday updates' when we were there for our birthdays and we asked and they said it was for Halloween season), interesting. Check out the website and click around if you want to see the spookies :). Sorry for the lack of posts the last few days. For some reason I have just felt pretty drained, so when I get home from work I take a nap for a bit (when I would normally be posting). Nothing new has been going on here. The heat wave that they predicted did not come in near as much force as they were predicting (I think the highest it got was in the mid 80s, which of course is warm for late September, but not as hot as the mid to high 90s they were thinking it would get). 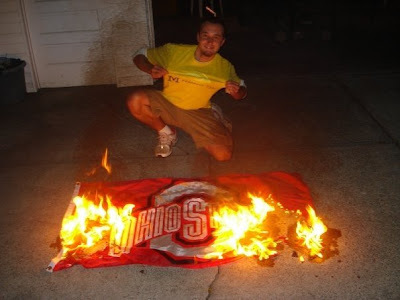 Kyle's got the right idea :) GO BLUE!! For the Northern Hemisphere, as in the United States, Canada and most of Europe, Fall begins on September 22, 2009 at 5:18 pm EDT. 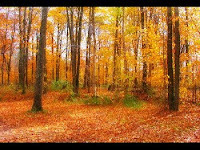 Note: Fall is also known as autumn - and lasts from the autumnal equinox (September) to the winter solstice (December). How cool!! I wish some of them were closer, but they are super awesome!! Down-to-earth meals are OK, but special occasions call for unique locations. Like ... dining up a tree. Restaurateurs around the world are taking their cuisine into the branches and leaves for an al fresco experience that can't be beat. Some of these tree house restaurants are exclusive affairs, while others are open to large groups year-round. Perhaps you can add one of these to your travels for a nature-loving dinner. Check out the rest of the articles (and more pictures) here.